Borgo announces the upcoming release of his debut full-length "Be Kind." Set for release April 13, the album matches soulful vocals with sweet harmonies reminiscent of Motown. 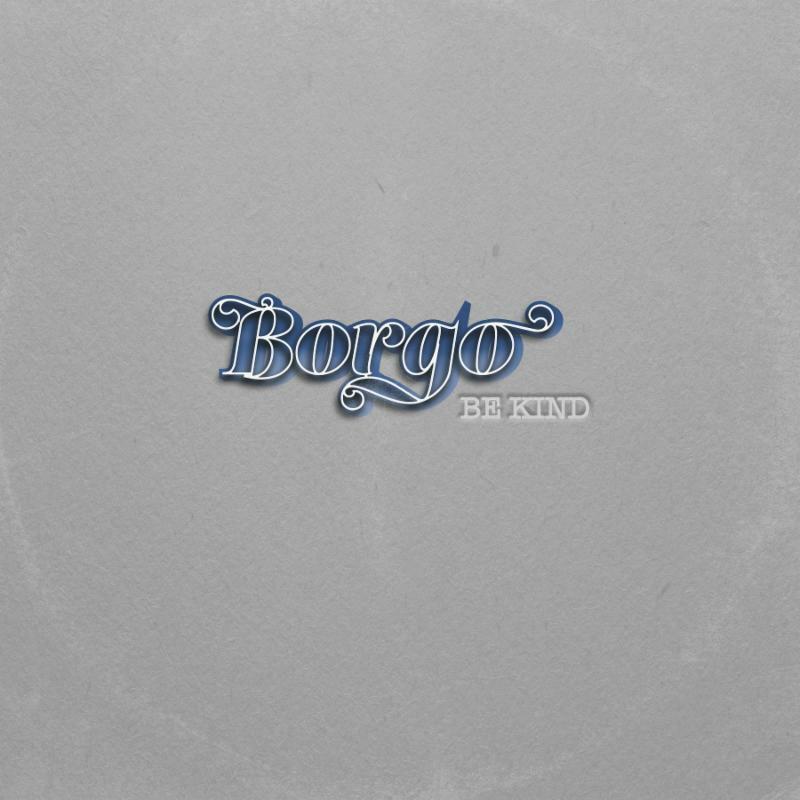 Based in Denver, this is Borgo’s return to music following a decade-long hiatus due to a debilitating neurological disease. The album tells stories of love lost, breaking societal norms, and reflecting on life through jazz piano ballads and funk-infused guitar tracks that take listeners back in time. With the help of engineer/co-producer Marc Benning and a group of noted musicians including Erik Deutsch of Leftover Salmonand sax player Dwight Bement, the album was recorded live on tape at Hideaway Studios. For those in Denver, the Be Kind vinyl listening party will take place on April 15 at Pon Pon and the album release show is on April 19 at Larimer Lounge. "Be Kind" is now available for pre-order via iTunes and fans will receive the first three singles instantly. It's a commonly held belief that the mind and body must work together to accomplish life's tasks, large or small. Whether it's getting dressed, cooking dinner, or pursuing a dream, the way we put the pieces together determines the outcome. Connections become the all important matrix of our desire. Before he was Borgo, Brian Bourgault was going about the business of his daily life as a music store owner and guitar player when his body suddenly stopped making a routine connection. A year later, at age 33, he was diagnosed with an untreatable, progressive neurological disease. That was 2005. Now, twelve years since that fateful day, Brian has been reunited with his passion, making music, and there is no stopping his renewed determination. While physically limited in his ability to play music, he's found that creating it comes as much from the heart as the hands. When life restricts mobility, the energy of the mind and heart have proven to be a powerful force in resurrecting the purpose that lies within the soul. With every blow that threatens to kill his spirit, Brian continues to get up and walk bravely down the path he finds himself on, letting music lead the way. 2017 rolled in with a burning desire to start creating again, and Brian went about finding a way to do that without being able to play any instruments. He bought a MAC and some songwriting software and figured out how to write songs on the computer with MIDI, using both hands to control the mouse. Digging through pieces of songs he'd written years earlier, he incorporated country, blues, and soul influences and was happy with the reinvention. Motivated by a songwriting contest he'd discovered, he booked some studio time and brought musicians in to play along with the tracks from his computer, keeping the bass and drum parts that he had programmed. It was the catalyst that he needed to get back on the musical path, and Brian set his intentions on recording his first full length. Engineer and producer Marc Benning works from Hideaway Studio, a residential recording retreat near Colorado Springs. Brian had met Marc through mutual friends years earlier and knew that Hideaway was where he wanted to record the album. Marc was to engineer, co-produce and play bass. Erik Deutsch (Leftover Salmon), renowned studio and touring musician, offered to travel from his home in Brooklyn to add keys to the project. Dan Schwindt (Kyle Hollingsworth Band), acclaimed guitarist, would handle the 6 string, which Brian could no longer play, and Denver's most in-demand drummer, Carl Sorensen (Dragondeer, Chimney Choir, In Planes), completed the rhythm section. The horns would be led by sax legend, Dwight Bement (Gary Puckett & The Union Gap Band, Frank Zappa’s Blackouts), who arranged the horn parts and brought on a trumpet player, Chris Lawson. Brian would sing lead vocals and Kim Dawson (The Pimps of Joytime) and Tanya Shylock (formerly with The Motet) would provide backing vocals. Brian's dad played in a rock band in the’70s, and was the motivating factor in Brian’s relationship with music from a young age. In March of 2017, he was diagnosed with stage four lung cancer. This stoked the fire in Brian to get songs written and recorded quickly so his dad could hear them. He wrote 19 between March and October and with his father in mind, went into the studio with no rehearsals, only the demos that he had made on his computer to guide the way. Twelve songs were recorded in three days. It was an old soul rendering of new music, connecting Brian's creative energy with a group of talented players. Be Kind isn’t a concept record, it’s a life record. Honest lyrics expose vulnerability, the fear of not being wanted, of only being seen for your limitations (in Brian’s case, his physical disability). In addition to these two main themes, the storyline of the album also centers around Brian’s personal reality. For more information, visit borgoband.com.